Federico Mena really wanted to install GNOME on the machine in our booth at LinuxWorld. I wimped out and wouldn't let him do it. Lo siento, Federico, but I was too paranoid to make any on-the-spot modifications to our primary booth machine. However, I've since joined the club! :-) Three days ago I installed Red Hat 6.0, including GNOME, on my desktop system. My machine is a no-name Pentium 200MHz box with 128MB of RAM and approximately 2.5GB of IDE disk. For this install, I did a fresh repartition of the hard drive and started with a completely clean slate. I couldn't wait for my official boxed set to arrive on the announced date of May 10th, so I downloaded all of Red Hat 6 from one of the mirrors. Even on a T-1 line, it took a very long time. After retrieving all the files, I tried using mkisofs to burn a CDR. I rooted the CD's file system at the wrong place, so I ended up with a coaster. Rather than fuss with mkisofs and try to get it right, I resorted to an ftp install, which was surprisingly simple. My downloaded copy of RH6 was sitting on our company's main server, so I made myself a floppy from bootnet.img and booted it. I certainly wouldn't recommend this approach for my Mom, but for someone with experience, it worked well. My Ethernet card is a 3c509, which is pretty darn common. I suspect that the success of using bootnet.img varies with which card you've got. After the install was complete, I rebooted and was delighted to finally be using the 2.2 series of the Linux kernel, although there was no discernible difference to me other than the version number on the login screen. I immediately logged in as root and created my usual username ('eric') by using 'useradd' from the shell. Unfortunately I specified my user ID to be the same as what I usually use on our other systems. This caused me problems later since RH6 has a preconfigured account with same user ID. After struggling with this for longer than I should have, I noticed the problem, removed 'eric' and re-added the account using the X11-based configuration panel. I logged in again, typed 'startx' and found myself in GNOME. The first thing I noticed was the presence of URL link icons on the desktop. They function just like "Internet Shortcuts" in the Windows world, and I have always liked them. In fact, my desktop often gets cluttered with far too many of them, and many have noticed that striking similarity between the appearance of computer's desktop and my actual physical desktop. Although GNOME came preconfigured with several such shortcuts, I found it terribly difficult to figure out how to create my own. I eventually gave up, subscribed myself to gnome-list@gnome.org and asked for help. 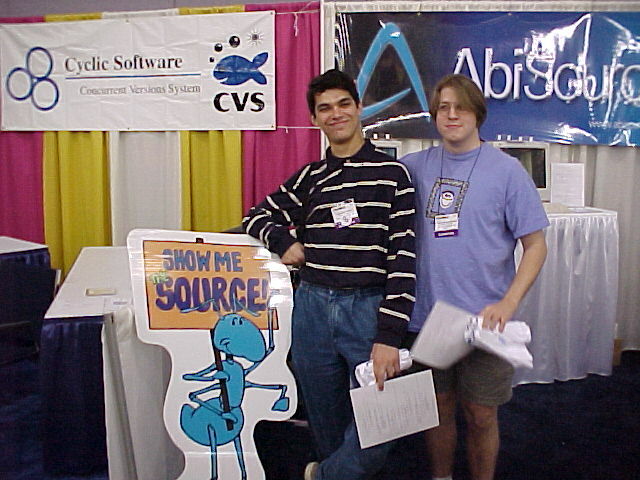 Several people promptly and courteously responded by telling me that I could drag and drop from Netscape. (Doh! I never thought of that.) Thanks to the folks on the list for not flaming my rather bone-headed question, and for proving once again that help is available for users of community-developed software. The GNOME environment, as installed on my system, uses Enlightenment 0.15.5 as the window manager. This was my first experience with 'E', and I am generally not disappointed. The default configuration includes a very Win95-like set of window decorations, including Minimize, Maximize, and Close on the right side of the window's title bar. As a regular use of both Linux and Windows NT, I appreciate having this consistency available to me. The GNOME environment has a panel at the bottom of the screen (it can be moved elsewhere by simply dragging it) which is somewhat reminiscent of the Win95 task bar, but has more functionality. Included therein I found an instance of the GNOME pager applet, which is basically a task list. It functions much like the Win95 equivalent, allowing you to see all of your open windows at a glance. You can click on one of the windows to activate it. My only gripe right now is that I have not found a way to make the task list function as I think it should. My assertion is that the activated window should always be raised to the top and given the focus, but things don't always work that way. Sometimes the window is not raised. Other times, the window is not given focus. I've searched my GNOME and Enlightenment configuration stuff to find a setting which corresponds to this behavior, but I've found nothing. I took a look at the code for the gnome-pager, in client_win_show(), and I didn't see anything obvious wrong with it. I'll probably need to do a bit more digging to isolate the problem. (If I am missing something, somebody please let me know?) I don't know if this is considered a bug or not, but it's a really annoying behavior for an otherwise pleasant environment. The Panel also has the GNOME counterpart to the Windows Start menu, on the left side, right where you might expect it to be. Of course, it doesn't say "Start" -- it has the now-ubiquitous GNOME 'foot' logo. This menu has everything listed under it. Thankfully, the panel comes preinstalled with my favorite pet feature, which is a really obvious button which simply launches another xterm. I am not much of a mouse user, and I usually like to just have several shells open all at once. Another really nice feature of the panel is the ease with which I can add new applets. I like the preconfigured buttons and the pager and the clock, but I also really wanted a load monitor. I looked with dread upon the hassle of having to learn yet another configuration file. Then I found the "Add Applet" menu item when I right-clicked on the panel. I was given a nice selection of applets from which I could choose. Less than a minute later I had my CPU load visually displayed all the time. All said, the panel is nicely done. It has a good set of features, not all of which I have mentioned here, and it's flexible. I like the way it can hide itself in an animated fashion, although I'll probably just leave it visible all the time. When I installed Red Hat 6.0, I chose to install almost everything. The result is an installation which has lots of cool goodies, including a reasonably nice clone of FreeCell for those who just can't live without it. The menus themselves are the clearest example of why Linux is still not ready for normal people. They include mention of things like GXEdit and GHex and RXVT -- people like my Mom have no idea what these kinds of things are, and frankly, they look scary. As a geek, I personally like having all that stuff around, but Linux has a long way to go before it's ready to be on consumer desktops. The CD preinstalls The Gimp and Gnumeric, but no other apps of similar substance that I could see. The Gimp is as cool as ever. Gnumeric is coming along very nicely. I couldn't help but look forward to the day when the list of preinstalled apps of this caliber is much longer, including our own projects here at AbiSource. Linux will simply not be a credible desktop alternative for normal people until there are more apps which compete with their Windows counterparts on features and ease of use. GNOME comes with the obligatory file manager, which, if you like that kind of thing, looks very well done. It's called GNU Midnight Commander. I'm not much of a user of these kinds of tools, so I cannot offer a detailed critique. The GNOME configuration tool is called the Control Center, and it serves its function adequately. The first productive thing I tried to do after I finished enjoying the cool new GUI was to build AbiWord. I CVS'd the source tree to my machine and typed 'make'. It immediately failed. A little diagnosis revealed that the standard header files were not present in /usr/include. I was bewildered. Just then, one of the other guys here in the office stomped in with the same problem. We finally figured out that four of the RPM files were somehow truncated when I ftp'd them from the public mirror. I was a bit disappointed that ncftp (version 3.0b18) didn't properly notice this and do The Right Thing. I was even more disappointed that the Red Hat installer didn't report any kind of failure on its attempt to install those four packages. There was no visual error message, and the install.log file in /tmp indicated no failure in the attempt to install those packages, even though none of the four actually were installed. I'll call this a bug, but it's probably not a common one, since most people will just install from the CD. The problem was easily solved, however. We simply ftp'd new copies of those four files, and ran rpm -i on each one. After this, everything was fine, and I was able to build AbiWord without a hitch. Certain aspects of the GNOME desktop seem to suffer from poor performance. For example, switching between virtual desktops does not update the Pager's task list as quickly as I would expect. My machine is no speed demon of course, but I still noticed a delay which seemed unusual. First, let me apologize for any inaccuracies in this article. I've tried to give GNOME a fair shake, but this review is titled "First Impressions..." for a reason. Feedback is welcome. Red Hat 6.0 looks like a good release, and I'll definitely be using GNOME from now on. Some of this review compares Red Hat 6.0/GNOME to Windows systems, which is probably not the comparison that every user will make. Nonetheless, it's a comparison which is valuable for me. It's clear that this OS environment is still just not ready for the non-geeks. Although this was my first experience with GNOME, I consider myself a rather clueful user, and even I found the installation process to be somewhat challenging. (To be fair, things would probably have been simpler if I could have waited for the CD.) Nonetheless, things need to get a LOT easier before a Red Hat install will be anything but a nightmare for the Wal-Mart and Best Buy crowd. But who said we were ready for those folks anyway? :-) Sure, I look forward to the day when this stuff is polished enough to reach a much broader audience, but for now, I'm a geek, and I like Red Hat 6.0 a lot. 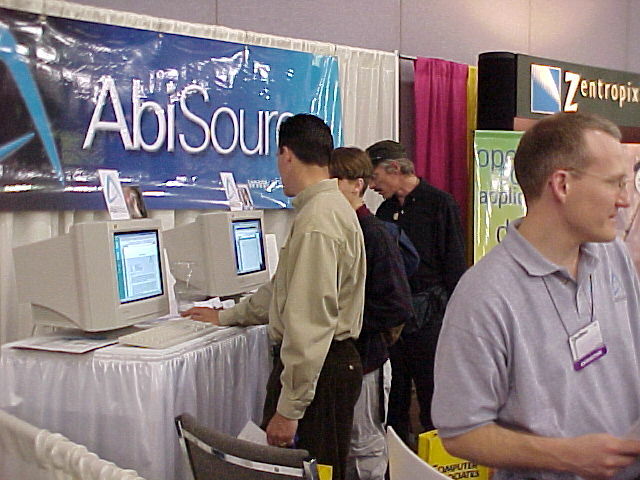 Eric W. Sink is Founder and President of AbiSource, Inc.